Tomorrow, on 12 December 2015, the Kingdom of Saudi Arabia will hold its third municipal council elections. In accordance with the 2011 declaration of King Abdullah bin Abdulaziz Al Saud, the Ministry of Municipal and Rural Affairs (MOMRA) has officially permitted women to vote and run for seats across the kingdom’s 284 councils. Almost a thousand women are running as candidates, and over 130,000 have registered to vote. These elections represent a milestone for women struggling for equal participation in public life. Saudi women, however, are approaching the elections with a host of reservations. For some, the municipal councils represent little more than a show put on for foreign governments and media. One-third of each council’s seats are unelected, and council members serve in a mostly advisory capacity for executive municipal officials, who can alter or ignore entirely their proposed projects. The MOMRA has also prevented women from campaigning directly to men, encouraging them to hire proxies to publicly campaign on their behalf. On 29 November, the government disqualified several women with histories of political activism from running as candidates, only reinstating one before the campaign season officially closed. 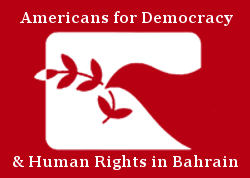 In order to better understand Saudi women’s involvement in the elections, Americans for Democracy & Human Rights in Bahrain (ADHRB) has interviewed four Saudi women from a variety of backgrounds and with varying approaches to their newfound franchise. The women—speaking under the pseudonyms Zeina, Aisha, Norah, and Rana—provided pessimistic and frequently blunt assessments of the elections and women’s role in them, even as several affirmed the importance of women’s participation. The remarks below are excerpted from the transcripts that will form the basis of a forthcoming report. Where appropriate, ADHRB has edited the women’s remarks for clarity and space. Even when we have some good steps—like King Abdullah allowing women to join the upcoming elections—[the government] puts more and more challenging barriers to women’s involvement. The rules are not strong enough and they are not clear on how women can register to vote or register their candidacy…female candidates cannot contact men directly, for example. This doesn’t make sense. How can I win if I cannot target my voter and talk to him directly? How can I work if I am elected and must deal with the men on the council? The government says that if a woman wants to run a campaign that she has to use a man, that he speaks up for her. It’s like a comedy play. Everyone can see that women aren’t allowed to speak, that they can’t even gather with the men that they’re supposedly going to work with. The government has said that, so what’s the point? Women candidates were subjected to a number of administrative obstacles: their images cannot appear in election campaigns, a man must direct their campaigns, and they cannot mix with their male colleagues in the council. [Women’s voter registration is low] because there are a lot of barriers between women and their rights to do anything…I wish I could vote freely like women in other countries. In my country there are a lot of steps in front of me. The people don’t believe in it…they know it doesn’t affect their life. Even someone from my family, I asked him about it because I want to know the people’s opinions. He said, “it’s like a play, the government does it so they can say we’re a democracy.” And he’s an old man who doesn’t live in the same area as I do. [The rule governing female candidates] is confusing, it’s vague. It’s not clear because it’s not mentioned in a real article, a real rule, or a document. So, for it to be strong and clear, it should be based on a law. And that hasn’t happened yet in Saudi Arabia. I think they made it vague because they want the radical people calm down, so that they could say, “Oh, don’t worry, women cannot contact voters” in some village, or some region. The councils have no power. Exactly what they have been ordered from the government – that’s what they will discuss. They have no independent authority at all. A few years ago we sent a local council information about a campaign for the right to drive, for example, and basically it’s still sitting in the closet there or something. They probably didn’t even open the folder. The municipal councils are very weak. It’s just for meeting to discuss streets, the public parks, the corniche, and the garbage. That’s it. There’s no way to put in place policies or procedures or laws, no. It’s not a local government. Previous municipal councils didn’t possess any real power, and even after the reforms and changes made to them, they continue to lack any real power. However, if women exceed expectations when placed in the same candidate pool as men, this will encourage a shift in society’s opinion of women. Even when we know that the government is doing [the elections] like a play—just for show, an award for women, “look, we gave them their rights”—but it is still our right. We need to hold it with our teeth and say, “yes, this is our right.” First we take it, we try to improve it, and we ask for more reform. I am boycotting the elections…the government is using them to prove that they give women their rights. But it’s not true…Always, when anybody asks me [about small improvements to women’s status], I say, “I’m now in a position that I’m a slave. I’m a slave, and you didn’t give me my freedom, you just gave me golden shoes.” Yeah, I’ll be happy with these golden shoes, but it’s not giving me my freedom. This time, I did not register and will not vote, despite my dream to do so democratically. I might vote, just to make the point, “we are here.” They’re trying to convince people, “women have no right for anything.” I agree with voting just to vote because we have been absent from everything for a long time. We need…to show them that we have power and that we can do something.